Normally I would never dream of trying to emboss a single multi-step image much less several due to the time-consuming process of lining up the various layers. VersaFine Clair’s unique properties now allow me to do just that! I can take my time to align all of the layers on multiple images and still have time to emboss them all at one time. 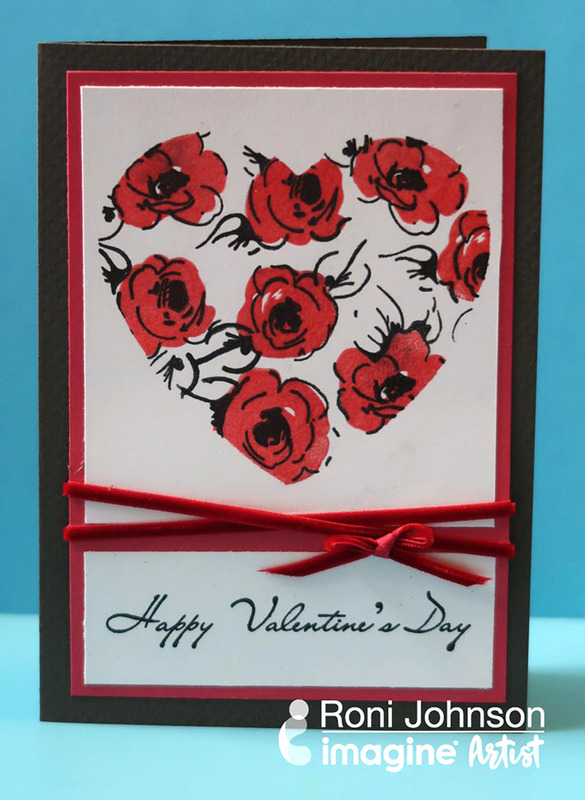 Die cut a heart shape from plain white cardstock. 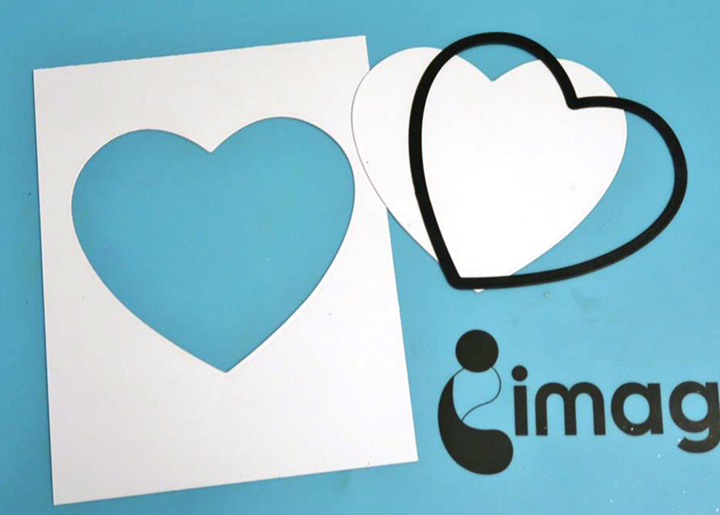 Set the die-cut heart aside and use the negative as a mask. Temporarily tape the negative heart mask over a piece of white cardstock. 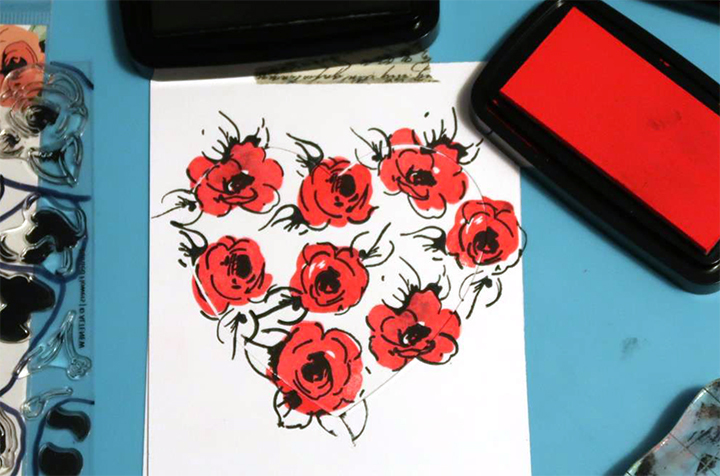 Stamp the multi-step flowers inside the masked off area using VersaFine Clair in Tulip Red (bright red) and Nocturne (deep black). 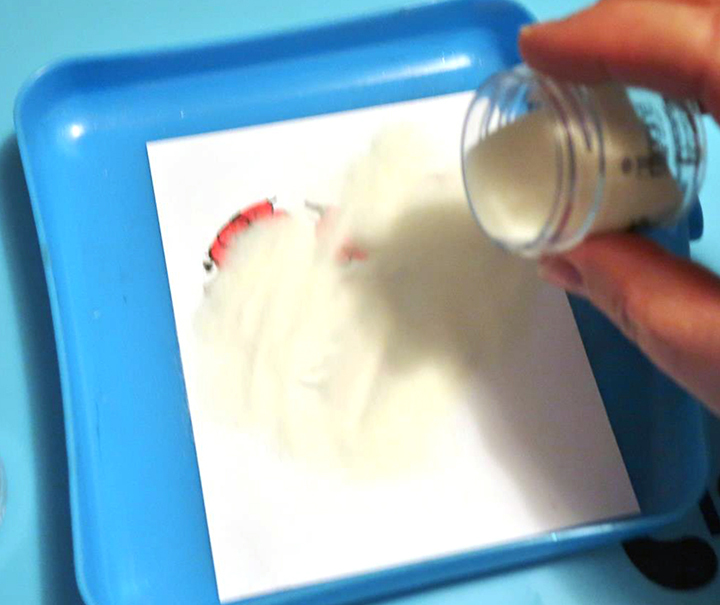 Sprinkle Imagine’s Embossing Powder in Clear over the entire panel. Shake off excess and melt with a heat tool. Even after several minutes, I am able to emboss the entire print! Next, trim the panel to fit to the card design. 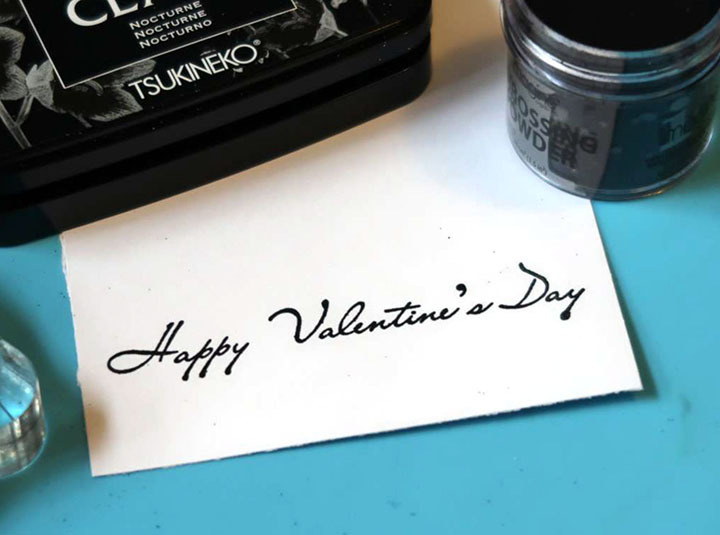 Stamp the “Happy Valentine’s Day” sentiment using VersaFine Clair in Nocturne. 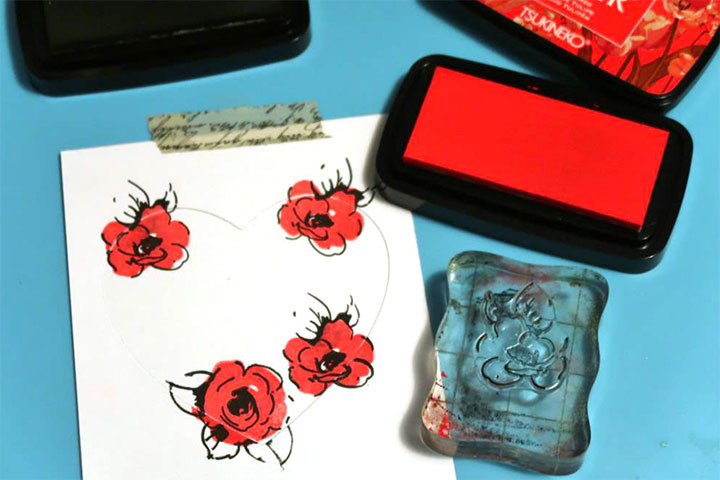 Sprinkle with black embossing powder and melt with heat tool. 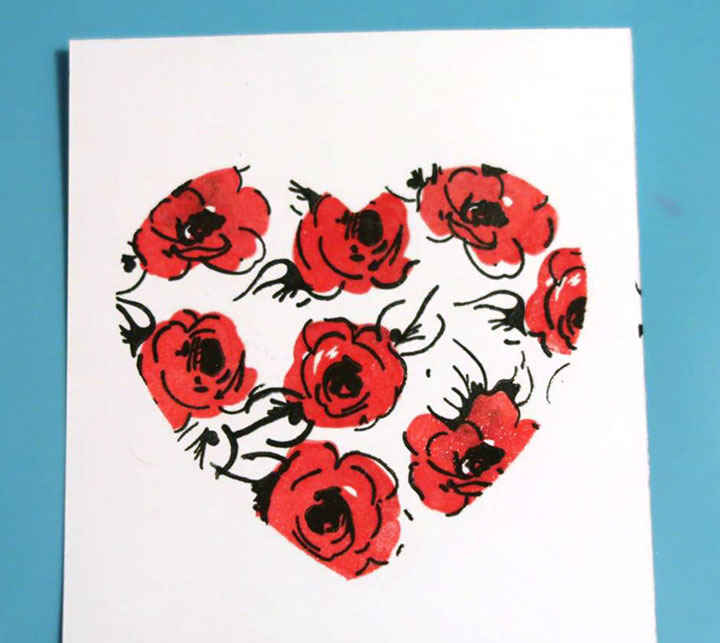 Adhere the embossed flower pattern heart and Valentine’s sentiment on a 4 x 5.75” cardstock panel leaving a gap between the two elements. 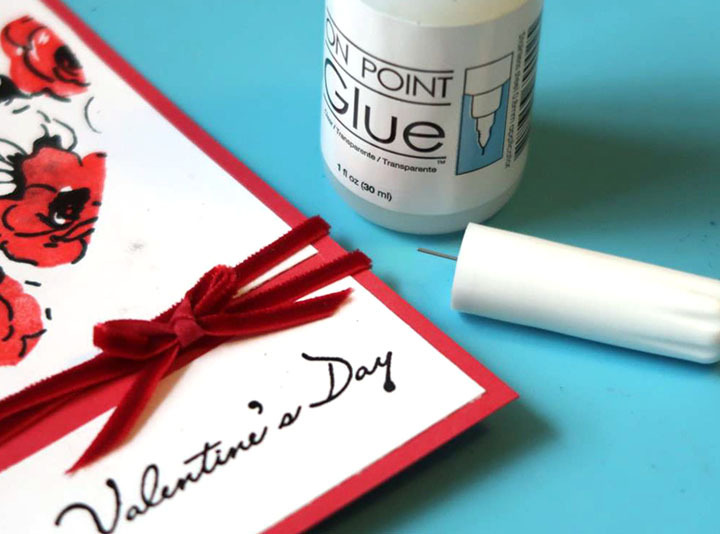 Add ribbon to the gap and secure with Tear It! Tape. 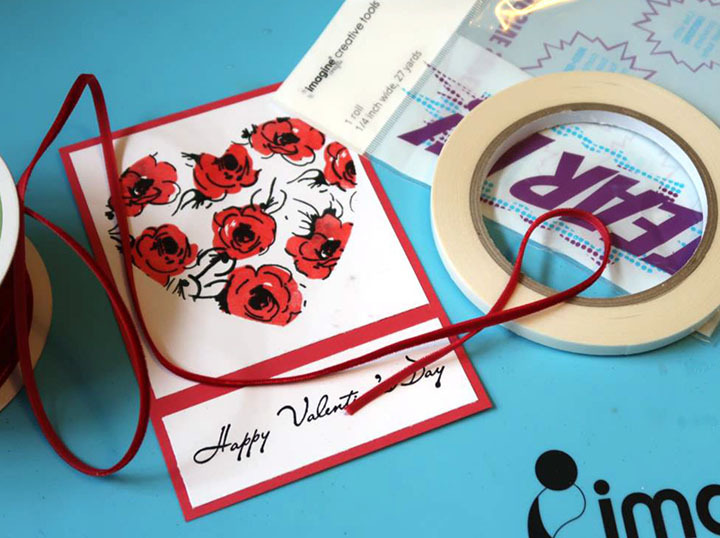 To finish this design, affix a tiny bow to the card and seal it using On Point Glue. Adhere the entire panel to a grey 4.5 x 6.25” card base. This entry was posted in 2018 ARTIST IN RESIDENCE, Cards, DIFFICULTY LEVEL, Embossing, INSPIRATION, Intermediate, PROJECTS, Roni Johnson and tagged cardmaking, Cards, Embossing Powder, Handmade, On Point Glue, Paper, Paper Crafting, tear it tape, VersaFine. Bookmark the permalink.